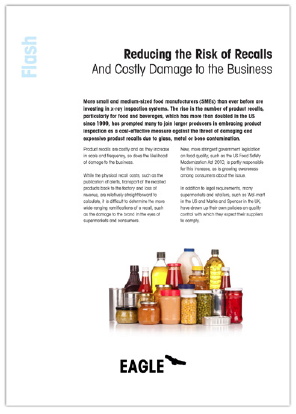 How product recalls are costly and as they increase in scale and frequency, so does the likelihood of damage to the business. or defective goods reaching the consumer. How to prevent a future loss in revenue from recalled products. How X-ray inspection technology is a solution for minimising the risk of product recalls.